The forests around the Bhola Giri mountain range in Odisha have been sacred for thousands of years due to having been visited by Lord Ramachandra and the Pandavas, and as such sadhus have been residing throughout this area from ancient times. 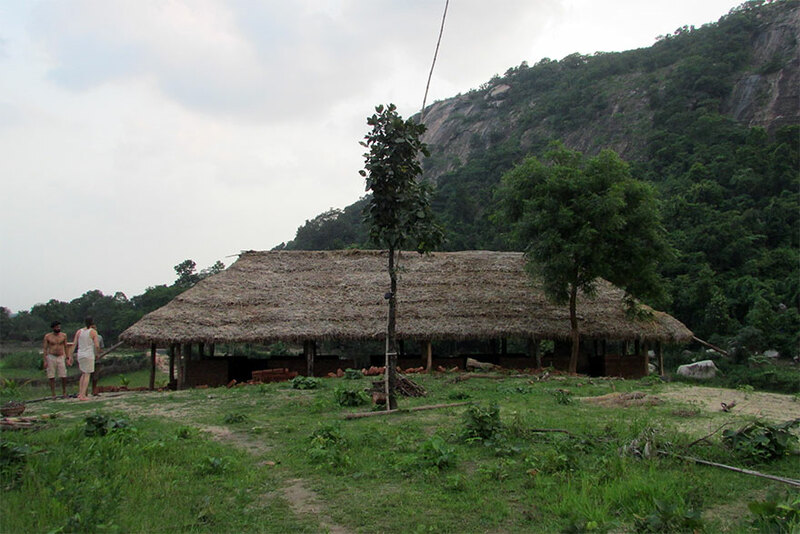 There are many small ashrams throughout the forests here, and some of the sadhus have been staying here alone for 40 or 50 years. Now in their old age they face natural difficulties. 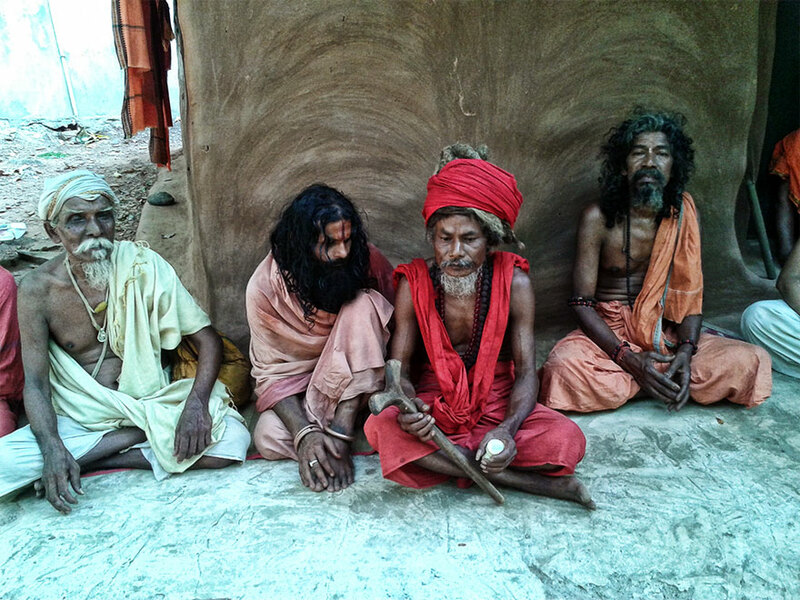 Over the last decade we have been trying to help the sadhus of this area as much as possible. 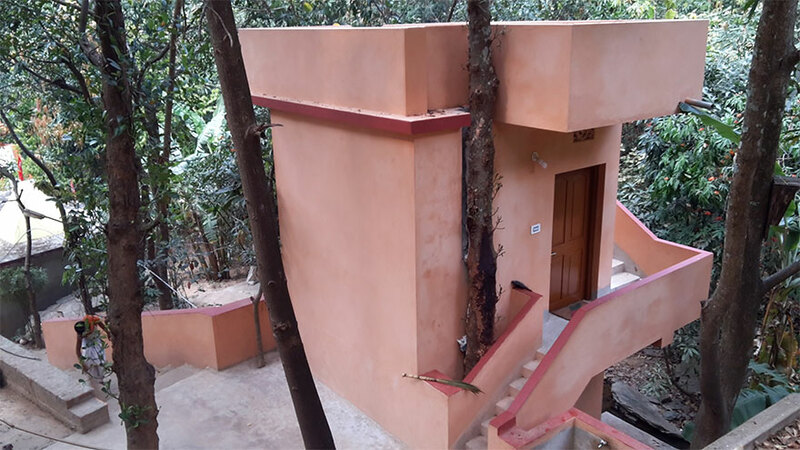 This year, at the ashram of Vishwanath Baba we were able to complete 3 permanent rooms for sadhus, and 2 toilets and bathrooms. 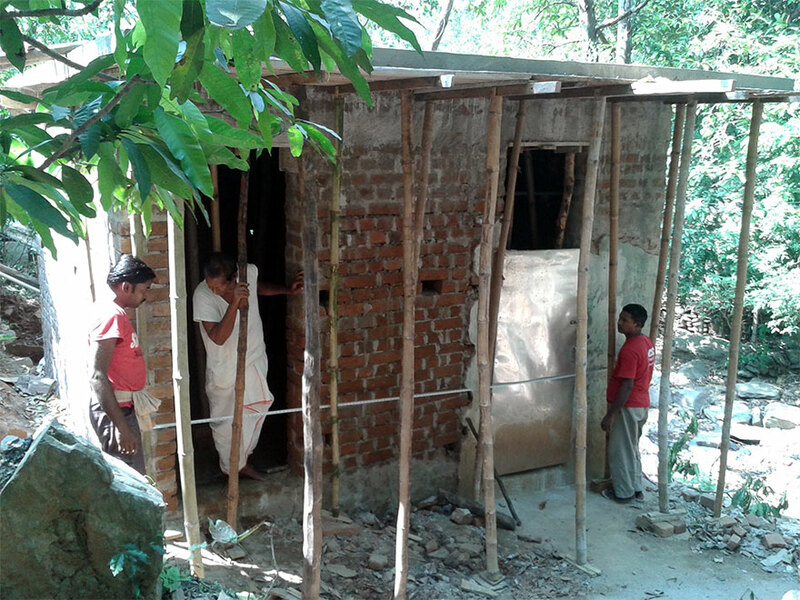 Utilizing a gravity fed water tank connected to a waterfall upstream we were able to provide running water, including showers, taps and flushing toilets, without the need for electricity to pump any water. 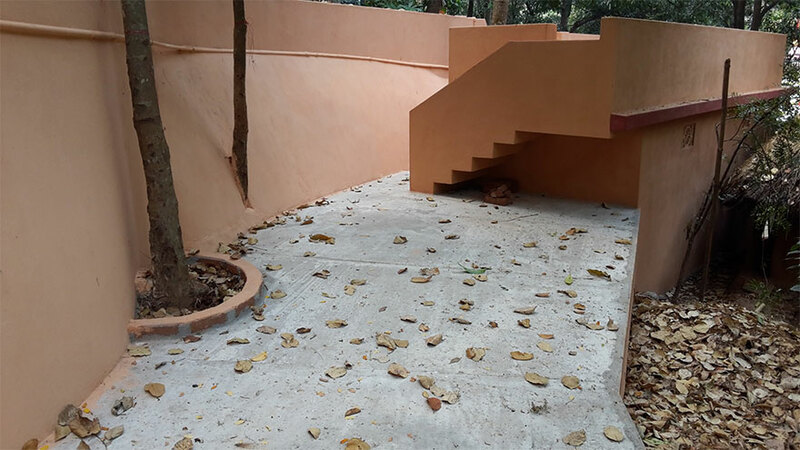 At the ashram of Brahma Chaitanya Baba we were able to complete 4 permanent rooms for sadhus. 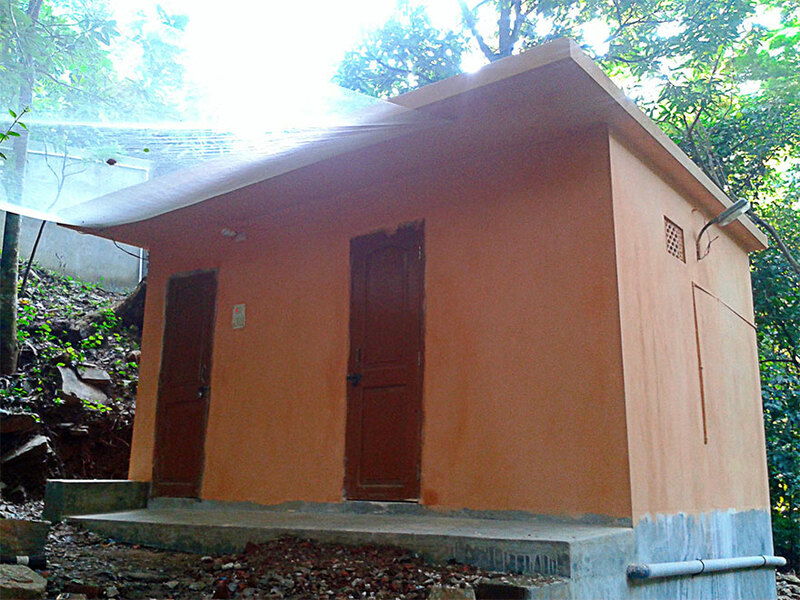 And at the ashram of Dayalu Baba we were able to make 1 permanent bathroom and toilet. 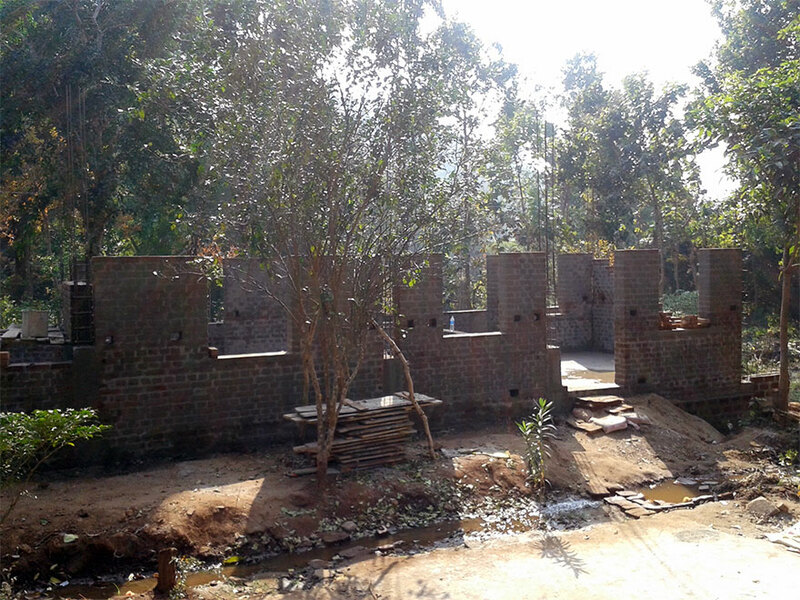 We wanted to also build another four rooms at Dayalu Baba’s ashram for sadhus to stay in, but due to shortage of funds we were not able to take up that work this year. 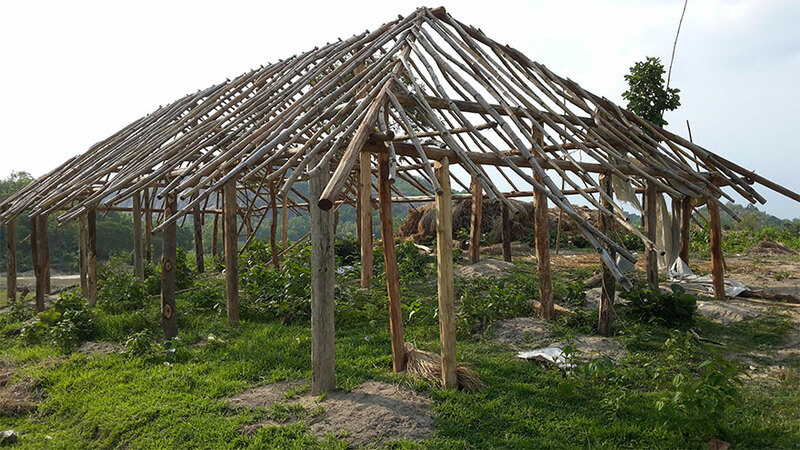 Instead we made one traditional mud house with grass roof. 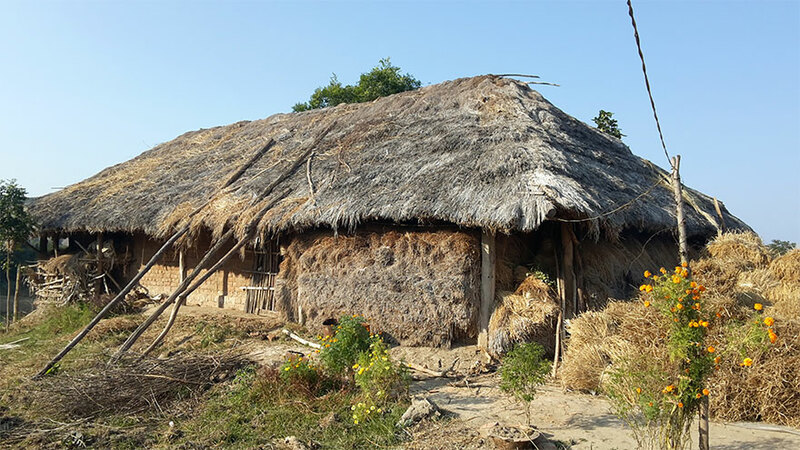 Mud houses are cheaper, but require more maintenance, which can be troublesome for sadhus who generally have no source of income. 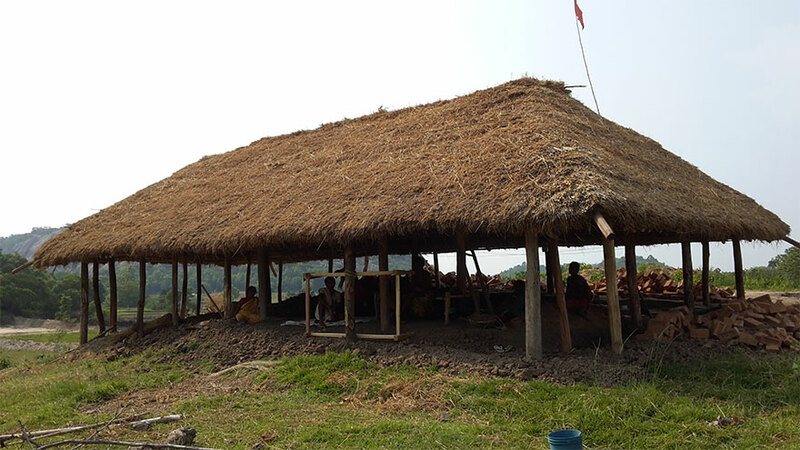 The grass roof needs to be changed each year, and the mud needs to be repaired weekly, especially during the rainy season. 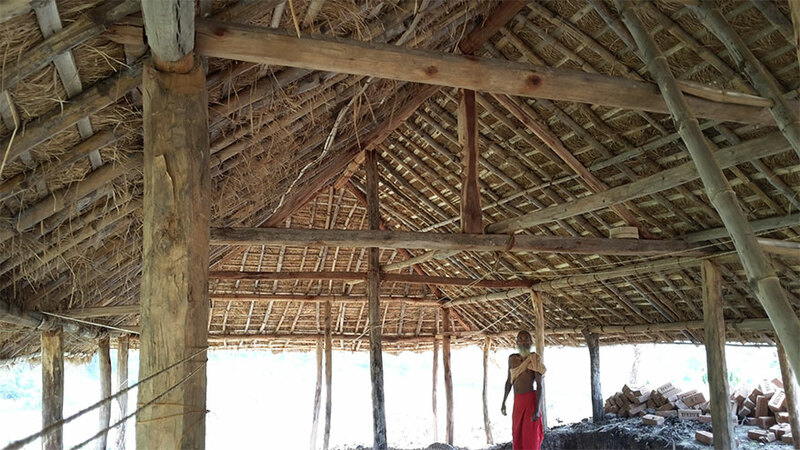 In addition, after some years the wood beams will need to be changed as they are eaten by termites and decay. 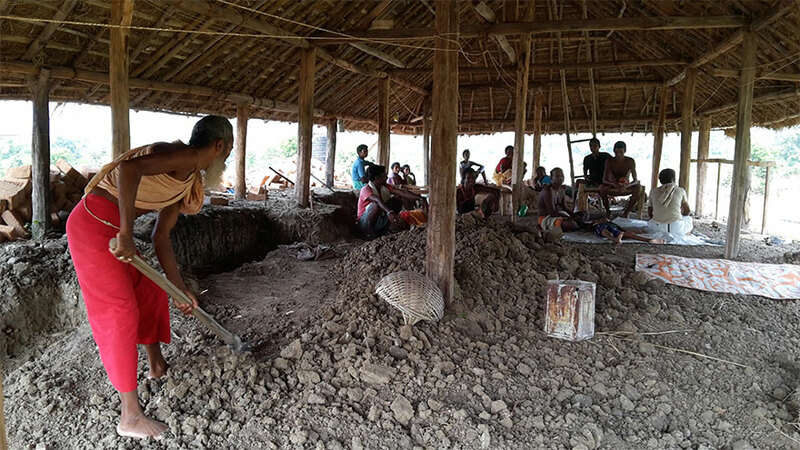 We chose to build these rooms for sadhus out of concrete and bricks, as in their old age (some of whom are over 95 years) they will not be able to maintain the upkeep of a mud house like they did in their youth. We wanted them to be free from worry about the maintenance of the rooms, and to be free to utilize their time for their spiritual activities. 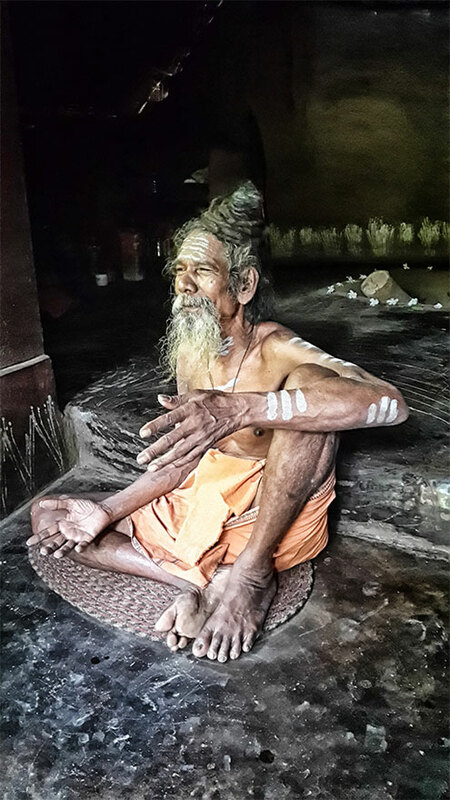 Brahma Chaitanya Baba, who is 95 years old has been residing in the forests for more than 50 years. His guru once told him to sit in this spot and watch his dhuni (yagya kunda), saying he would come back in 15 days. Baba sat and waited at that spot, and his guru didn’t return for 15 years, but he continued waiting alone in the forest where his guru told him to wait. Such was his determination to follow his guru’s order. 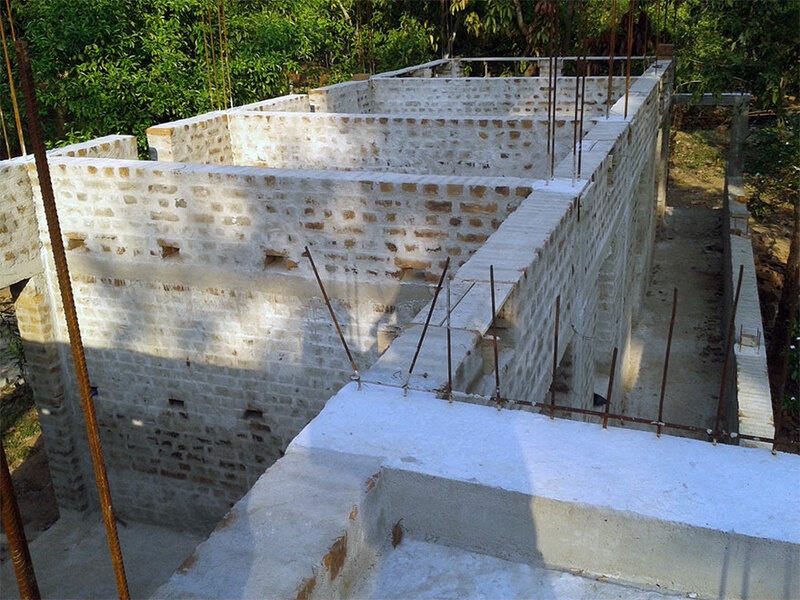 Below you can see the building we made at his ashram, which has four rooms for sadhus. 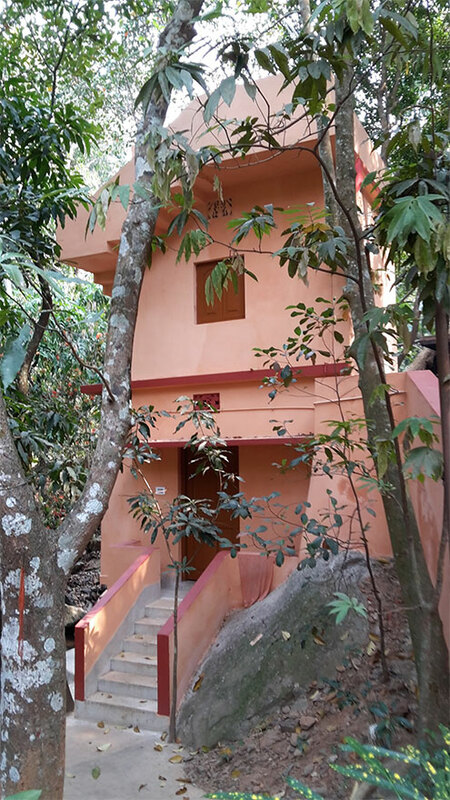 The location of the building is the exact spot where his guru used to reside many decades ago when he stayed in this forest. 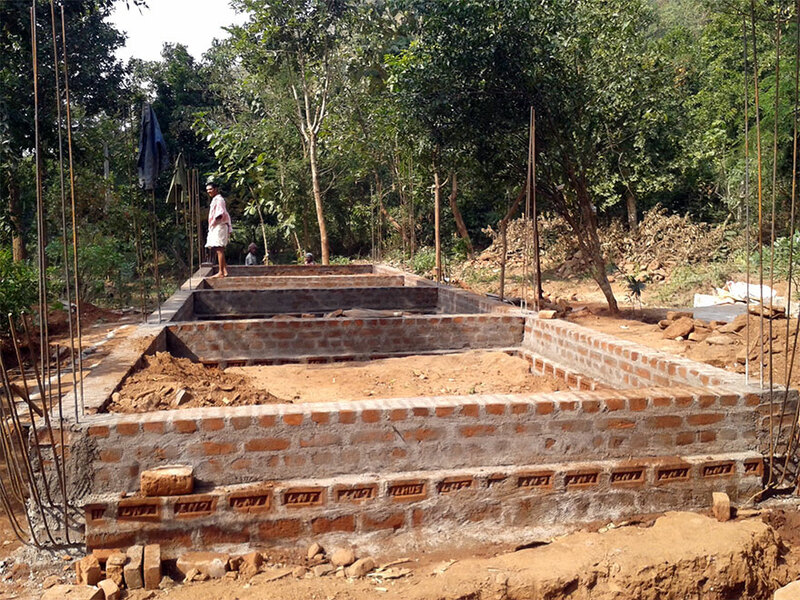 The mud and stone foundation of his guru’s hut was still visible, despite having deteriorated long before. We kept a dhuni (yagya kunda) in one of the rooms, which was the exact spot where his guru used to have his dhuni decades before, and where sadhus used to assemble when he was staying there. Now Brahma Chaitanya Baba stays in that same room where the dhuni is, and performs the worship of the sacred fire there. 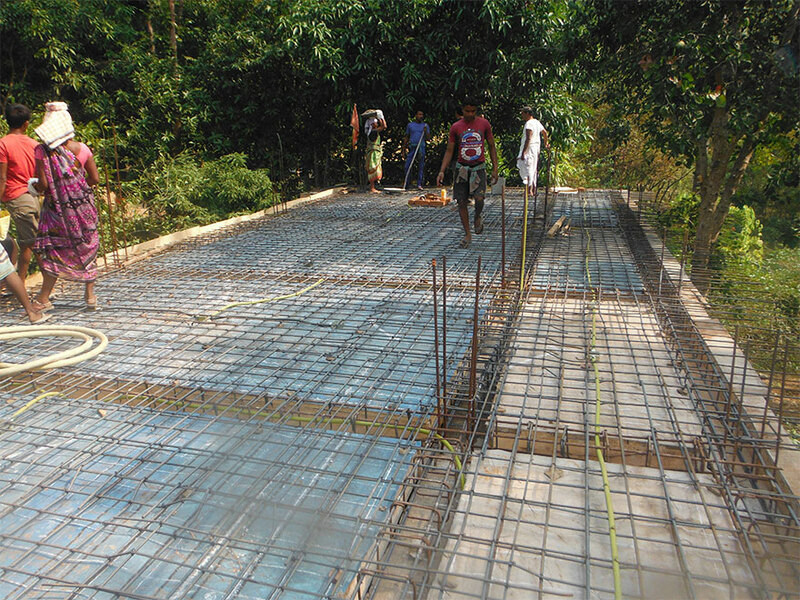 Pouring the concrete roof at Brahma Chaitanya Baba’s ashram. 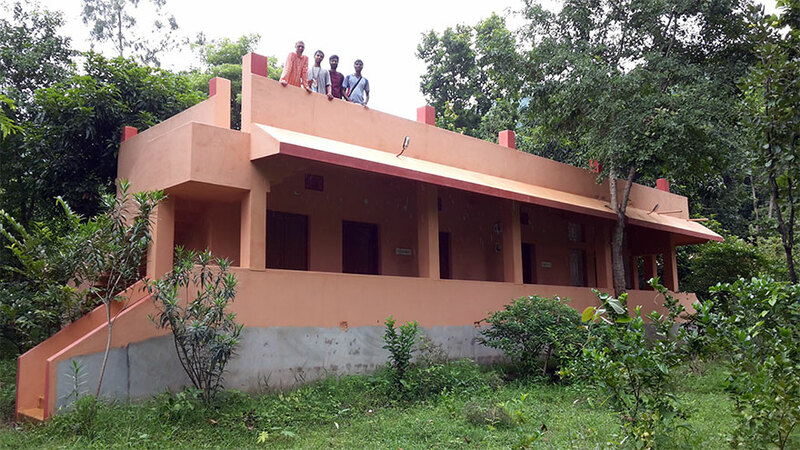 Above is the completed building at Brahma Chaitanya Baba’s ashram, providing four rooms for sadhus to stay. 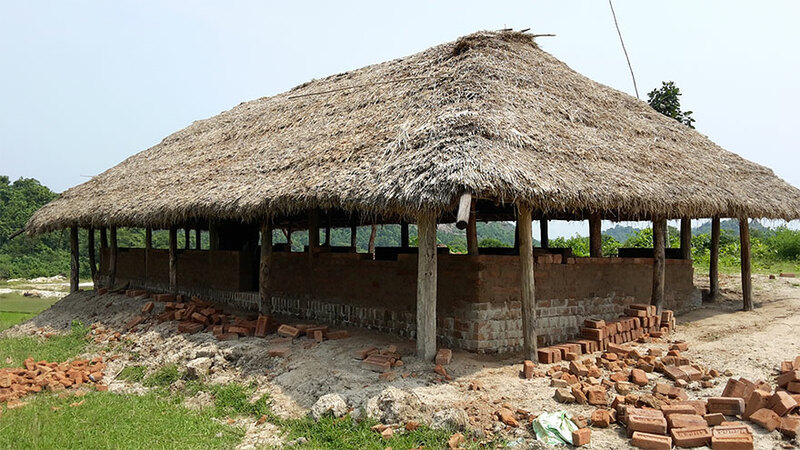 Since this is a jungle area, in the past we have faced trouble with termites eating the wooden door frames. 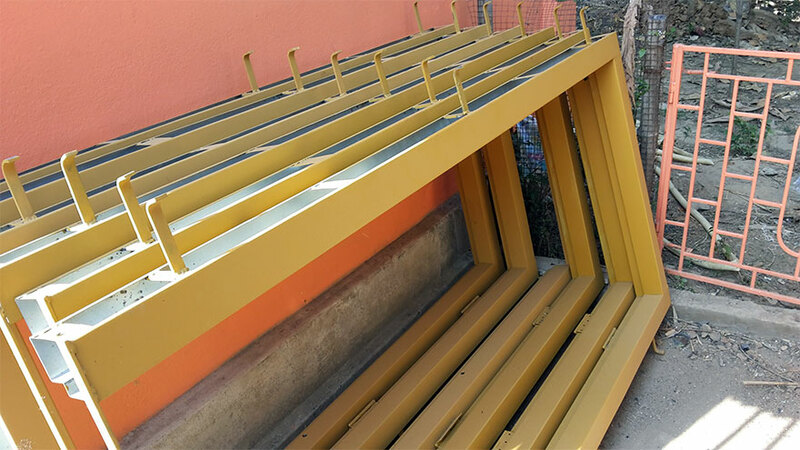 This time we designed a special metal door frame, which we filled with concrete. The doors are then welded into the door frame. We will test this design and hopefully be able to use it in future work, so we wont have any problems from termites. 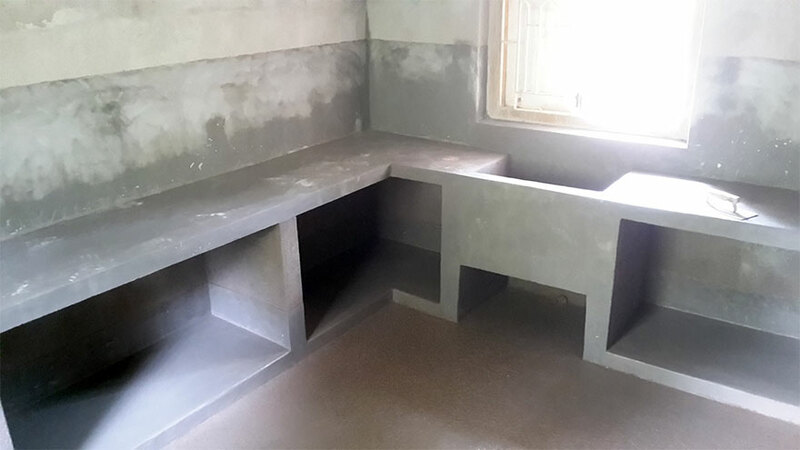 This is a picture of two bathrooms and toilets made for sadhus at Vishwanath Baba’s ashram. In the past the sadhus would use the open mountain side to relieve themselves, but it was becoming harder for them to do this in their old age, especially during the rainy season or the cold winter months. 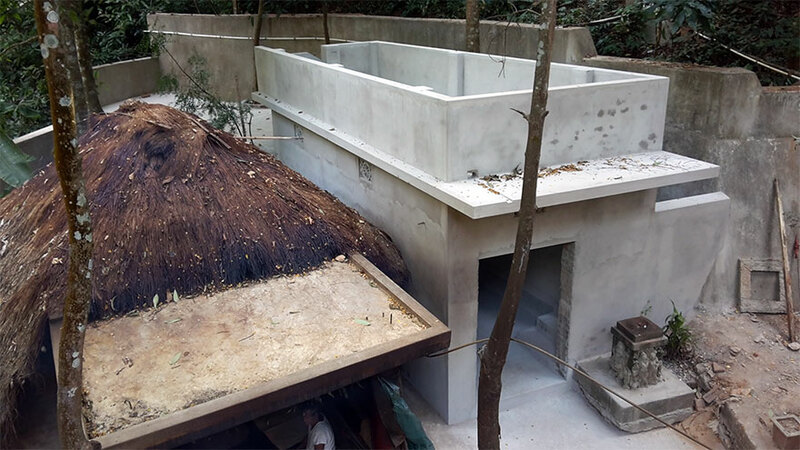 Here you can see the running water and shower, which was done utilizing a gravity fed water tank, connected to the waterfall up stream. 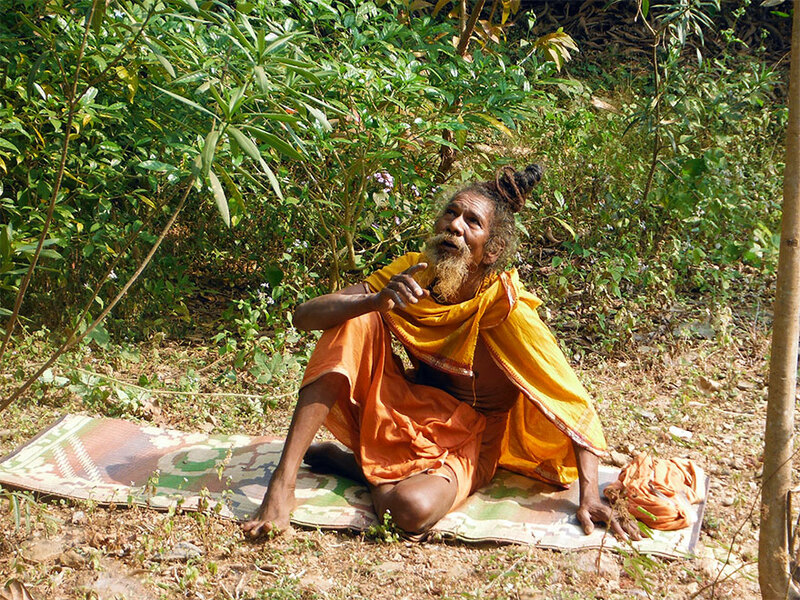 Vishwanath Baba, who has been staying in the forests of Bhola Giri mountain for more than 50 years. 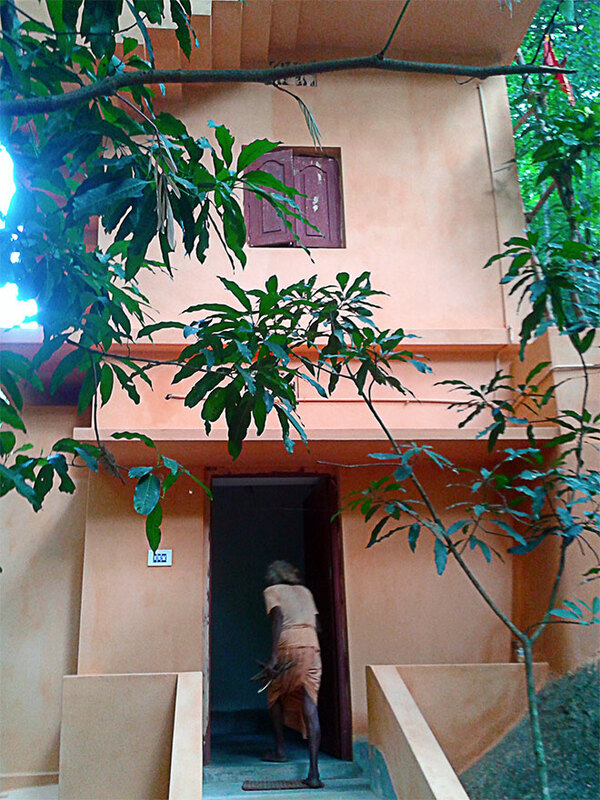 Rishi Baba utilizing one of the new rooms for sadhus. 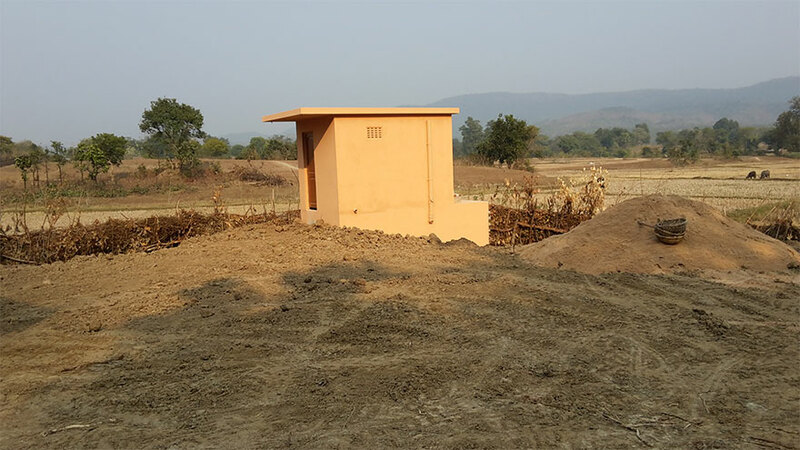 At Dayalu Baba’s ashram we didn’t have enough funds to complete permanent rooms, so instead we built a permanent bathroom and toilet, and then one large mud hut where sadhus could stay. 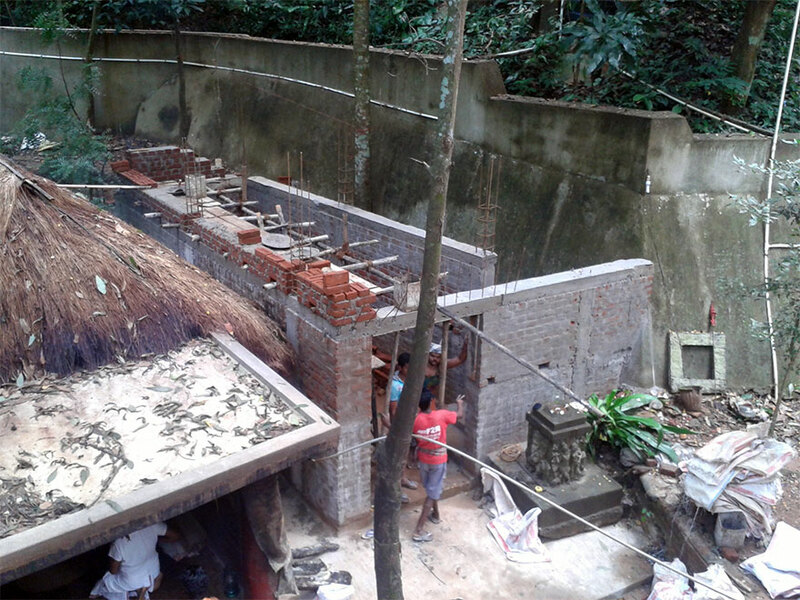 Below you can find some photos of the work at his ashram. Hopefully in the future we can build permanent rooms for sadhus there, but for the time being this was the best that we could do. There are still several other sadhu’s and ashrams around this mountain that we would like to help, but we are not in a position at the present. We will try to help them one by one over the next couple of years as it becomes possible. If anyone would like to help any of these sadhus directly, please feel free to take up the work. 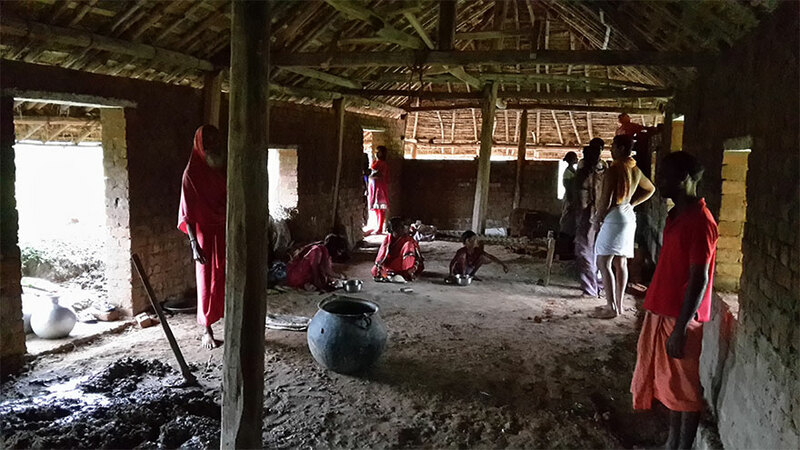 We will provide you information of various genuine sadhus and ashrams in the Bhola Giri forests who could use help. 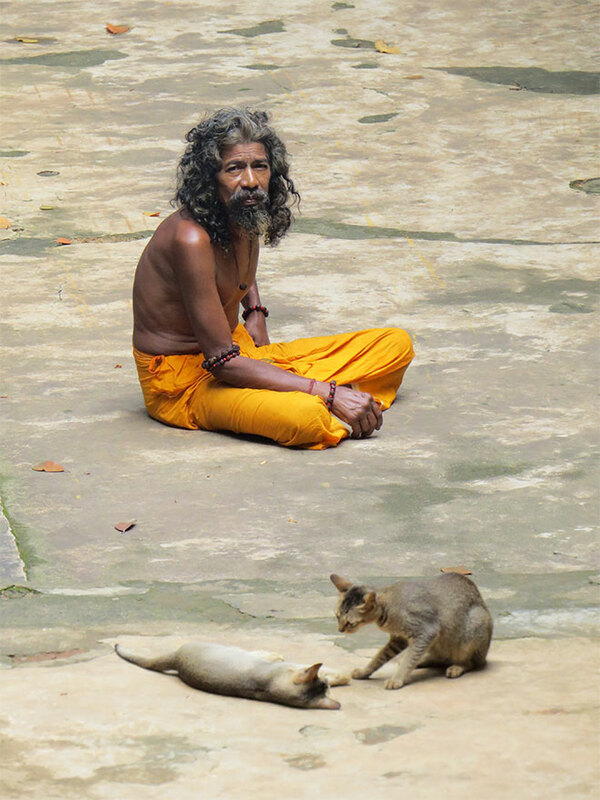 We have been observing many of them for more than 10 years, and can say the sadhus in this area are all very genuine. Thank you again to everyone who has contributed towards this work. It wouldn’t have been possible without your help. 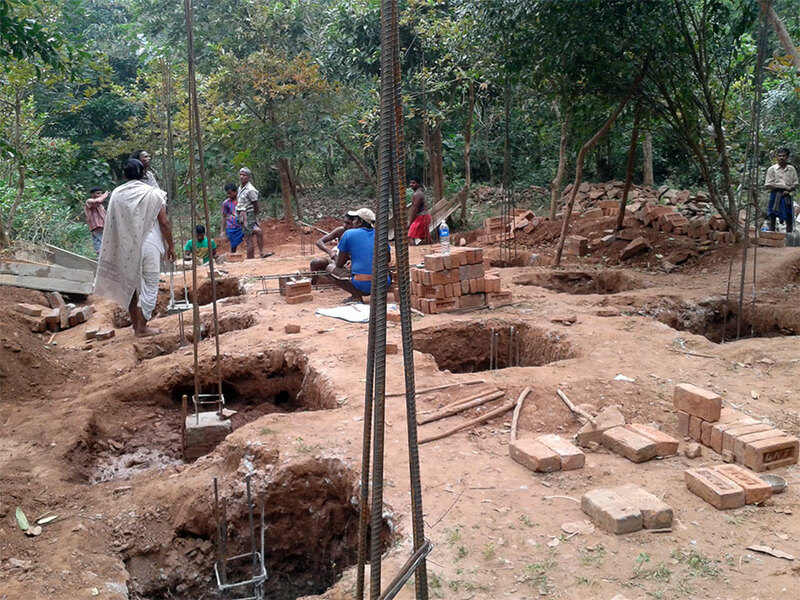 Construction of toilet and septic tank at Dayalu Baba’s ashram. 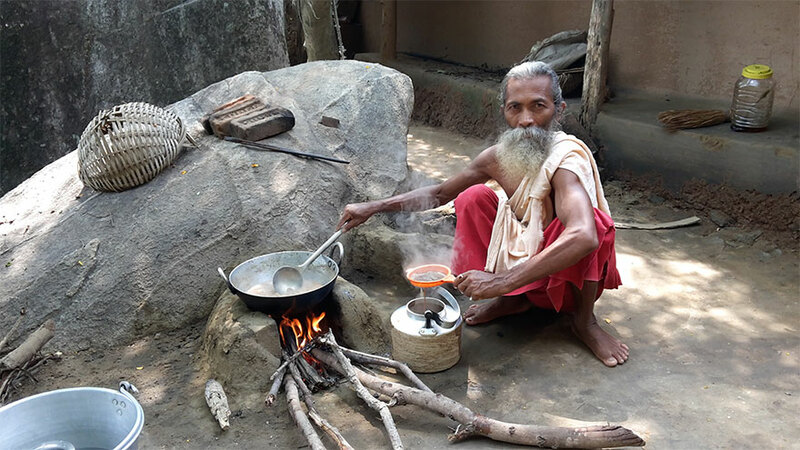 Dayalu Baba cooking for visiting devotees. Its about time people took care of these sadhu’s – they have b’n our spitually healers and they will be around for a life time. 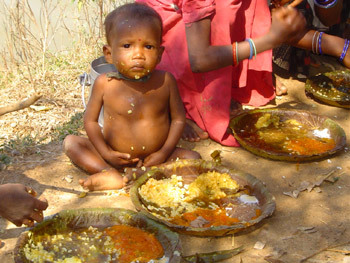 Its time we gave back to them..
You all are Godly -being human. Let me admit being in city (or better be educated village) I am all illiterate do not know even a single word. I have been praying to commence my Narmada Parikrama for over a year. It is within me but not too. You all are doing good work and I request the Almighty to shower His fondest blessings. I applaud your noble effort. Please let me know the name and address at which I can send an inter-city SBI cheque as my humble donation. Its a good work.Wish it all the success. I want to visit these ashrams. How do I go there from Mumbai? This project tugs at the hearts of those we should protect most of all! They are the ones who has kept the planet safe for thousands of years and allowed India to become the hub of Universal Spirituality. Our sincere prostrations to these mighty souls! How do we donate to this noble cause ? I did not find any information on that. Can you please email me ? We are a group of NRIs interested in your noble thought. Please provide details of upcoming projects so that some of us can support you or take up the project directly. 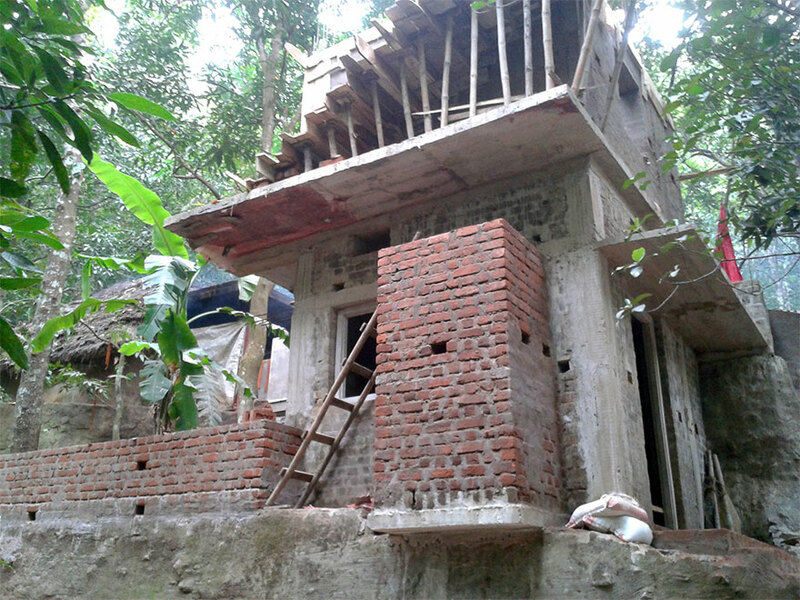 Highly impressed of this well deserving work to help genuine Sadhus staying in forest …I will share this in group so help may come for future work.Gurudev Datt. I appreciate your work. How could i send my donation whatever I can give? These sadhus make life worth living. These Sadhus/Holy men and women have given us a lot over the past millennia….I salute them and all the people around the world both Oriental and Occidental (West) who have this intense desire to help…Aum Shanti!!! Wonderfull work you are doing i want to participate in your project with my humble contributions. 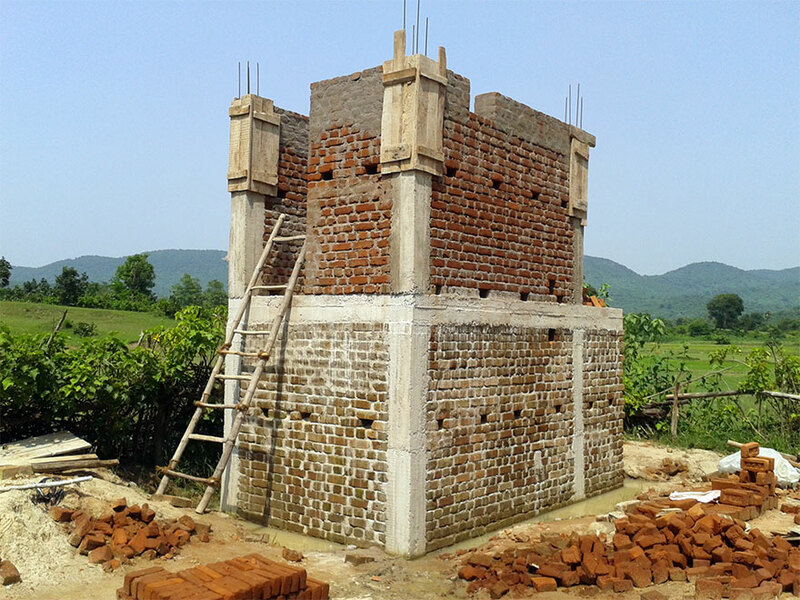 Do you have any such projects in Himalayan region? It takes a lot of time, effort and organizing to materialize anything and in that respect the organizers are really blessed. 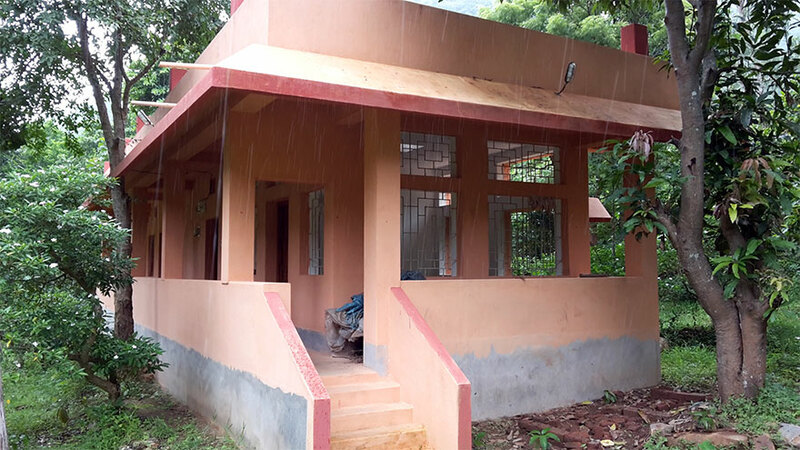 Afterall, to take care of a family of one or two dependents itself we are all struggling , and I really wonder how this ashram is doing a gigantic work . Without some innate powers flowing down from God, it is not possible! Good effort and GREAT job. Can you please guide me to reach in the Ashram from Bhubaneswar. Even if your work helped only one elder sadhu it would be well worth the effort. Sadhus by their mere being helps to restore and protect dharma. 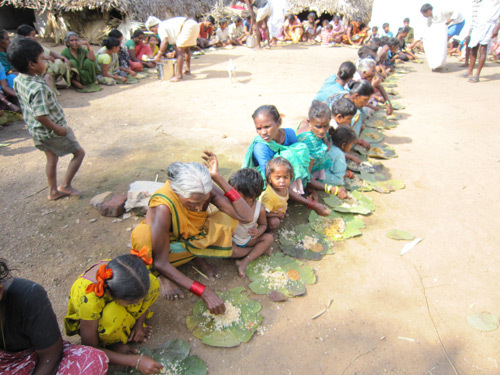 These people are considered sacred and the Government and people of India should and must take care of them. They are showing what India represents. They are the real people of India. It is very nice to see the beautiful work rendered for the Holy sadhus. I wish to do some help in this yagna. SURE GOD WILL BLESS YOU. Each one of you is a Yogi in real sense as Sewa of Sadhus is Yog. Please tell me how to reach your ashram and if its possible to stay for few days. Such a facility could generate funds laso. ..
Good work when sadhus are respected the spiritual quotient of society increases. very great work. kindly give me bank account and IFSC number so that my donations can be given. saints are our pillars of culture. / advise me on the procedure with other details for sending donations for such types of noble job. Nice to look at these holy place. It is really good effort to built a good ashram for the sadhus to stay. We should donate and also call our friends to do the same. Well done organisers, we all should donate more so our spiritual gurus could have decent accomadations. Thank you so much for your very beautiful work, it is really touching. I’ll find out how to donate… I simply can’t imagine a more worthy project, when thinking of what these Sadhus are – to this mad world of ours. It is wonderful what is being accomplished. But we must try to be more efficient in the use of resources. 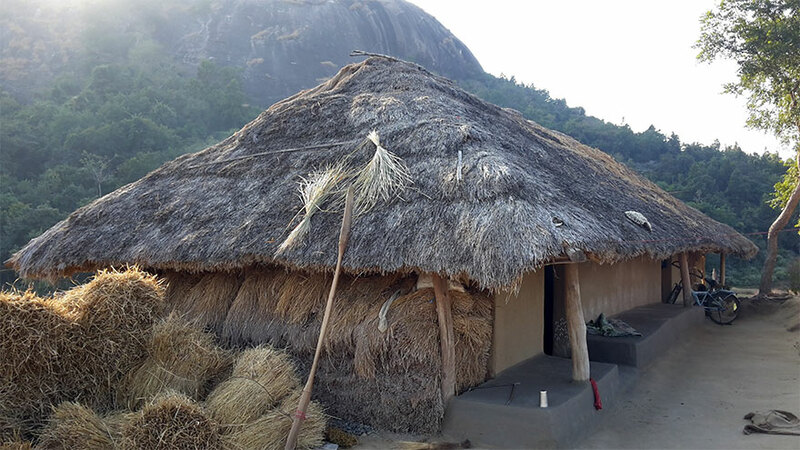 Do people know about cob houses that can be constructed with naturally occurring materials and it lasts a longer time and is more environmentally friendly and also with better indoor climate control. All please find the details as under. (Address, Modes of Donations, How to reach, etc) Rest please ask. SINCE BHARATMATA IS THE MOTHER OF THE UNIVERSE IT IS THE ONLY COUNTRY WHO INICIATES AND THE REST FOLLOWS. SO THE PROJECT OF BUILING LIVING QUATERS FOR SATHUS IS A GREAT ISSUE. ONE DAY ALL THE COUNTRIES WILL MODI IN CLEARING CORRUPTIONS. THIS WILL BE IN THE MANNERS OF YOGA WHICH IS GOING ON ALL OVER THE WORLD. I will try to email each of you separately to answer your questions, but if anyone wants to contribute to this work they can use the box on the top right of the page to donate, and select purpose as to help sadhus. Within India you can use the bank account details mentioned above by Rajesh. Great work by all at Bhaktivedanta Ashram / Jaya Jagannatha Trust. Thanks for sharing details on mode for making donations for this noble work. May Lord Jagannath give strength and Blessings to all. Something which modern India needs to do to preserve our age-old traditions and culture and help real Sadhus living in the thick forests and mountain tops engaged in spiritual activities. Modern conveniences will help them a lot and save time for spiritual living. I wish every State Government set apart some money for such projects and also roads to reach those destinations. There is much we can learn and adopt in our lives from these Sadhus. Individual efforts are indeed praiseworthy and need to be fully supported. 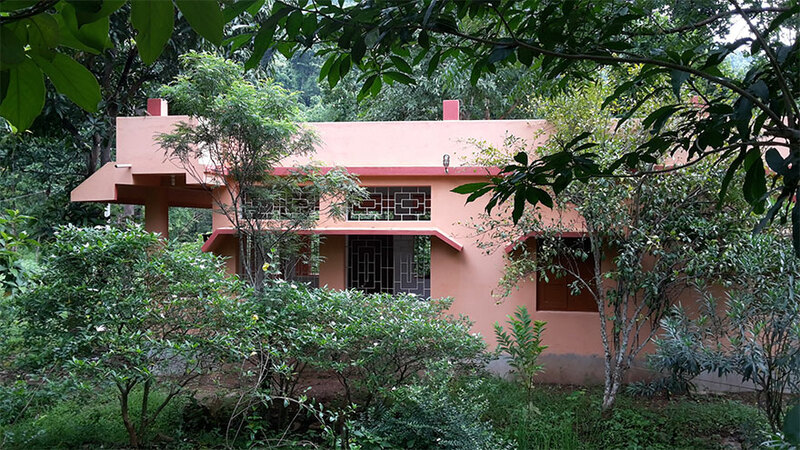 G. Sivaswamy, Sowbhagya, GHS Road, Wadakanchery 680582 Kerala. I would like to contribute in Indian Rupees. Please give details of bank account. Where exactly is it located ? And how to reach there ? This is a proud baring work. 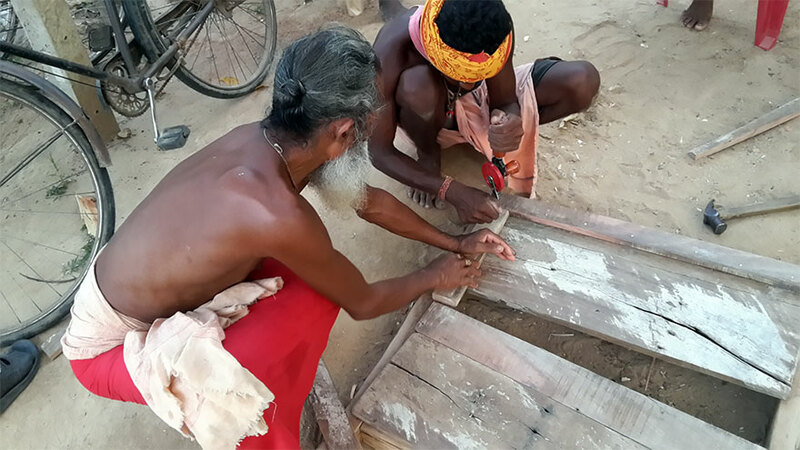 How much work remains and how much funding is required for the sadhu project? How many sadhu are now residents?